Hi and welcome to my 30th gems post. This is where I share some of the best teaching ideas I've seen on Twitter. Back in Gems 4 I featured Paul Collins' (@mrprcollins) brilliant comic resources for teaching constructions. In his post he suggests some opportunities to use these resources in the classroom. I haven't taught constructions this year so I've not yet had a chance to use these resources, or the awesome Euclid the Game (featured in Gems 21). I loved the work shared by my namesake Mrs Morgan (@em0rgan) on Twitter this week. She asked her students to create their own construction comic strips for homework. The results look excellent. I'm not normally a fan of homeworks like this because they're so time consuming (both for students to produce and teachers to mark) and often they don't add much value. But in this case I think there is value in students learning the procedures by documenting the steps, in addition to practising the constructions. 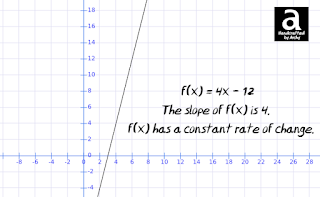 Thanks to @OxfordEdMaths for sharing a set of excellent A level assessments for C1 - C4, D1, D2, FP1, FP2, M1, M2, S1 and S2. It can be hard to find sources of good A level questions. These free resources are going to be incredibly helpful next year for topic assessments, homeworks or revision. 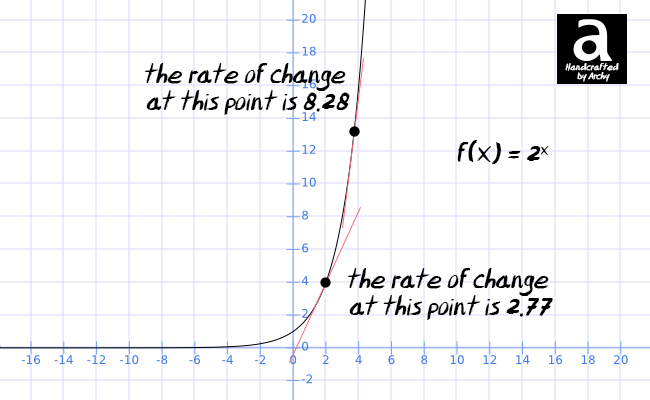 Speaking of A level resources, do check out the website 0a explains: Calculus (with pics and gifs) -thanks to @mathhombre and @solvemymaths for sharing this. I love the pictures and gifs on this website - they might help teachers explain concepts in calculus. 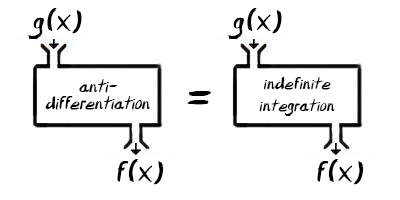 I've just discovered MathFour.com from Bon Crowder - it's full of creative ideas, some of which I plan to feature in future gems posts. One idea that I spotted was a 'How to Write Your Math Homework' guide. I'm going to make a version of this for my new classes in September. I can't complain about my students' work not meeting my expectations if I haven't made those expectations clear from the outset. Steve Wyborney (@SteveWyborney) shared his Talk a Mile a Minute Vocabulary Activity. The video below describes the activity in detail. It involves students describing sets of words to their partner and then discussing what those words relate to. I think this would be a great activity for an end of year lesson. Have a look at Steve's post for resources. If you're looking for words for this activity then try this Vocabulary Checklist for Key Stage 3. I've seen some lovely activities and questions on Twitter this week. @MathedUp shared this 'Negative numbers code-breaker activity with a twist'. 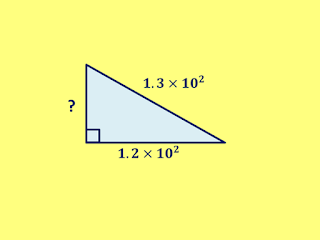 @OxfordEdMaths shared this question under their #AlmostMondayMaths hashtag that I mentioned in Gems 29. @DJUdall shared this activity which links solving equations with area and perimeter. 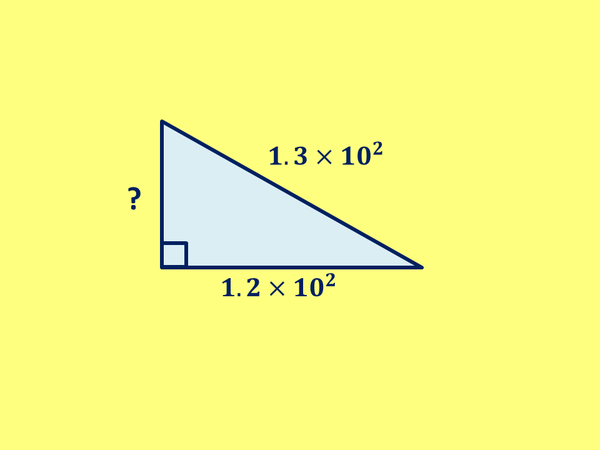 @DJUdall also shared a question he made which combines Pythagoras' Theorem and Standard Form. 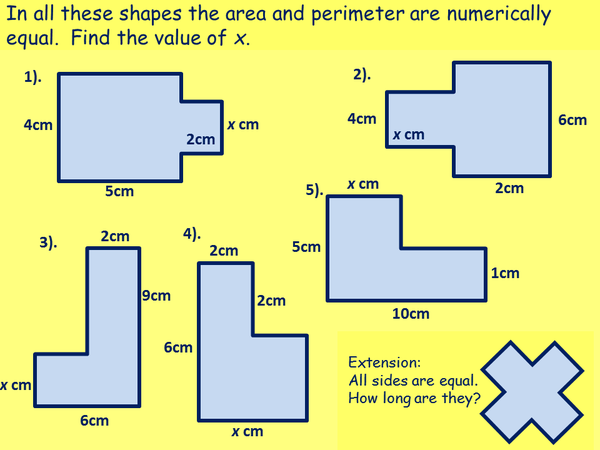 The latter two resources were shared during last Sunday's #mathsTLP. This is a great place for maths teachers to collaborate. Do join in on Sundays at 7pm to ask for help with lessons or to offer ideas. Because my exam classes are now on study leave I had time to plan some really nice lessons this week. With my Year 10s I did a lesson on similar triangles using resources from the Mathematics Assessment Project. They had to sort eight pairs of triangles into 'similar', 'not similar' or 'can't tell', drawing on their knowledge of angle facts. This task is a lot harder than it sounds and takes about 45 minutes to complete. I really recommend it - here's an example of the work they produced so you can see what it involves. I talked to all my students about palindromic numbers this week (I remembered to mention it every time I wrote the date on the board, because the dates were palindromic when written in the format m/dd/yy). Although many of my students could give me an example of a word that is the same forward and backward (eg racecar), most were not familiar with the word palindrome. Those of you who use Plickers (featured in Gems 10) for formative assessment will be pleased to hear that you can now insert pictures. For example you might want to insert questions from www.diagnosticquestions.com. That's it from me for now, but there will be another gems post soon because there's been loads of great stuff on Twitter lately. Wish me luck with my last week at my current school! My new job starts after half-term. 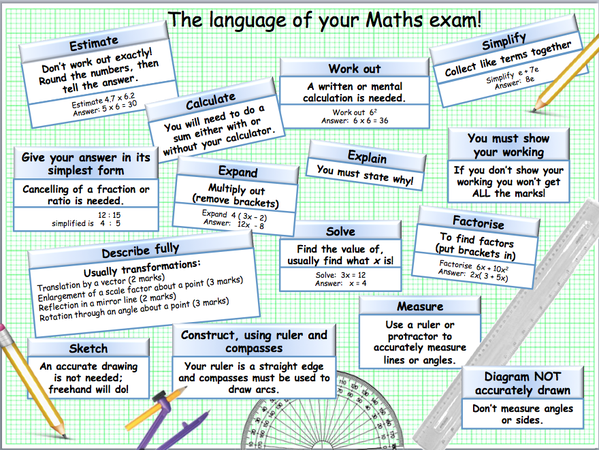 I'll leave you with this GCSE resource by thornn on TES (shared by @eggarsmaths on Twitter) which you might find useful for last minute exam tips over the coming weeks.